This No Bake Cheesecake is back by popular demand! I’ve received so many request for this cake that I can easily close my eyes to make them. The pink shades are so so pretty. I can totally understand why this cake is among one of the popular ones. I love colors- vibrant or pastel. They just make you feel alive. Can you imagine a world without colors and blinded by darkness. It’s not a world I would like to wake up to. My love for ombre goes beyond just admiring cakes online, it has invaded the world where cookies and cupcakes use to form my daily routine. 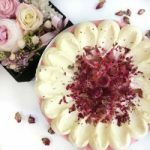 Throwback to the blogpost where I wrote about how to create a petal rose no bake cheesecake with just a simple piping of buttercream blobs and spreading them out using the back of a spoon. 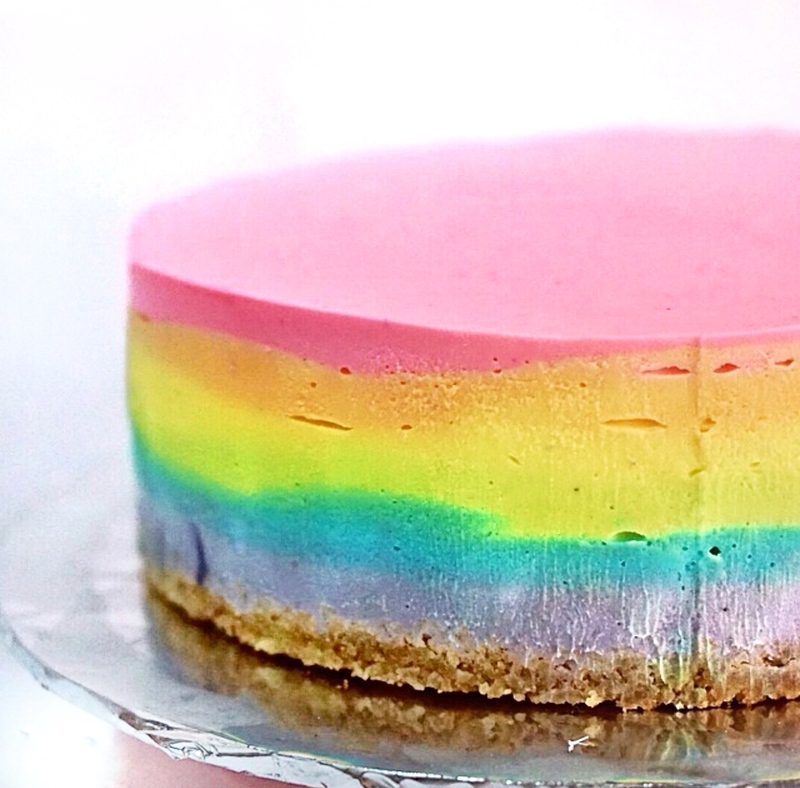 You can read more about the steps but right now I think it’s time to share how I got that ombre pink cheesecake that is almost too pretty to be eaten. The basic No bake cheesecake recipe is the same. It’s just the addition of edible food gel to create that ombre effect. 12) To get the desired color intensity, add red oloring drop by drop into the remaining 2 bowls of cream cheese. You can see from the bowl that I did not entirely mix the pink throughout as I like a little white streaks in the cake. 15) Refrigerate for at least 4 hours to set and viola! Separate cream cheese into 3 bowls equally. Leave 1 bowl entirely white, for the 2nd bowl, add one drop of red gel and mix. To the other bowl, add a few drops of red gel to get a deeper color and mix. Place the white cream cheese into the prepared pan. Set in fridge for at least 4 hours or overnight. As mentioned earlier in the Blogpost, the tutorial on how to create the rose petal cake is here. Hi,Are you using a non-removable tin to make the non-baked cheesecake?If yes, how did you unmould it!Thanks!